Before we know it, temperatures will be warming up, snow will be melted and spring will have finally arrived! As a homeowner, you want to be certain to have your lawn mowing equipment ready for the spring lawn care season. You’ll want to contact your local lawn mower maintenance provider to have it tuned up, or you can perform a tune up on your own. Mowing your lawn correctly is a crucial for keeping your lawn green and growing throughout the year. You may be surprised by how easy it is to mow your lawn the wrong way, causing obvious and avoidable damage. Use the following tips to mow your lawn as effectively as possible. Use a Sharp Blade – In the early months of spring, you’ll want your lawn mower maintenance provider to perform blade sharpening. Dull mower blades are the culprit behind many a yellowed, weak lawn. This is because when a blade of grass is bruised or cut raggedly by a dull blade, it grows more slowly and becomes discolored at the top, where the blade is most visible. Sharp blades cut grass cleanly, keeping it green and growing fast enough to sustain itself. Never Cut Over 1/3 of Grass Length – If you have let your lawn grass grow tall and are finally getting around to mowing it, be careful not to cut off more than 1/3 the length of the grass at a time. Cutting more than this sends a signal to the grass to stop growing and will result in a yellow, dying lawn. 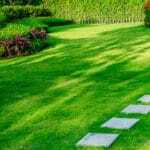 Keep Grass Shorter in Spring – Cutting grass short in spring helps what sunlight and water there is to reach the roots more easily, speeding grass growth and reproduction so that you will have a thick carpet of grass in the summer. Let Grass Grow Before Summer – As the weather gets warmer, let your grass grow out in order to shield the soil from becoming overly hot or dry. Longer grass in summer provides the shade and retains the moisture the grass needs to stay green as long as possible. 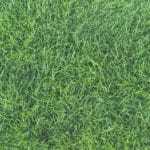 Avoid Cutting Wet Grass – Cutting grass right after watering it and thereby getting all your lawn care out of the way at one time may seem like the convenient thing to do, but it can actually harm the grass. Hold off cutting until after the grass has dried to prevent clumps of wet grass from smothering your lawn and encouraging the growth of fungal lawn diseases. If you are prepared to follow all the above mowing tips correctly, your grass should be greener and healthier this year than ever before. 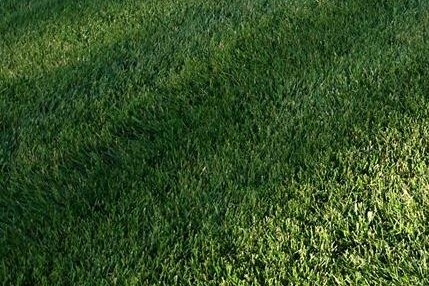 Carefully cutting your lawn will ensure that lawn care treatments such as fertilization and reseeding have the desired effect of improving the health, thickness and color of your lawn, as well as protecting it from the lawn diseases and weed problems that can result from improper lawn care. 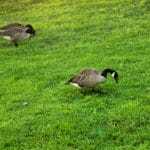 For a spring, green lawn program of lawn care treatments including weed control, pre-emergent crabgrass control, soil pH testing alongside proper mowing techniques, will greatly improve the health of your lawn, call your local Pennsylvanian lawn care professionals at Green Lawn today.